Today was a day for baking, experimenting and ultimately eating fresh baking! We are experimenting with our CinnaBraids and our Spelt Bread, to make sure they are just right. 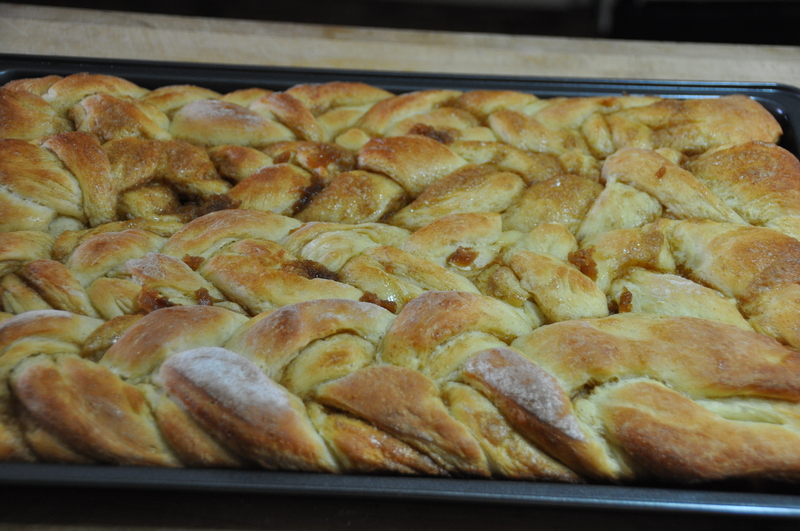 We had one batch of dough that just didn’t want to rise for us, which is always disappointing, but at the end of our day of experimenting, we had four lovely loaves of bread and a giant tray of CinnaBraids, which I have to admit, are pretty much all gone . . . at least we know they taste good! If you are interested in any of our Home Baked Breads, we bake for order on Tuesdays or for special occasions. Just contact us for info and pricing.